Located in the Berchtesgaden Alps in the south-eastern corner of Germany, both the Kehlsteinhaus and its connecting mountain road are magnificent pieces of engineering set against one of the most scenic locations in Europe. Carved into the rock face and taking just thirteen months to construct during 1937 and 1938, the six and a half kilometre long Kehlsteinstraße is one of the most spectacular mountain roads in Germany. Standing proudly at the summit of the Kehlstein peak, the Kehlsteinhaus was built in 1938 as a fiftieth birthday present for Nazi leader Adolf Hitler. Since then, the spectacular mountain eyrie has become one of the most popular tourist destinations in the region. 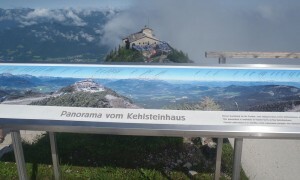 Situated 1834m (6017 ft.) above sea level in one of the most strikingly beautiful locations in Germany if not all of Europe, the Kehlsteinhaus, also popularly known as the “Eagle’s Nest”, is a building steeped in history. Commissioned in 1937 by Reichsleiter Martin Bormann as a fiftieth birthday present for National Socialist leader Adolf Hitler, the spectacular mountain eyrie spectacularly perched at the summit of the Kehlstein mountain in the Berchtesgaden Alps has become one of the most popular tourist destinations in southern Germany. Created with the highest-quality materials, the Kehlsteinhaus project brought together the best architects, engineers and workers from across Germany as well as Austria and Italy, and would eventually cost some thirty million Reichsmark to construct – an astonishing £100 million (€120 million or $150 million) today. The house is reached via the serpent-like Kehlsteinstraße (“Kehlstein Road”), one of the most magnificent mountain roads in the world and a work of engineering that was in the opinion of a number of experts years ahead of its time. It took some thirteen months to build, and is a staggering six and a half kilometres long. Bormann’s intention was that the Kehlsteinhaus be used as both a diplomatic reception house and quiet mountain retreat for Hitler, but unfortunately for the Reichsleiter the Führer would only pay a handful of visits to the summit. The Nazi leader had both a fear of heights and an aversion to the rarefied air, and to compound his anxiety he was also concerned over the elevator to the summit being hit by lightning. It is perhaps because of the distinct lack of interest shown by the Hitler that the house on the peak of the Kehlstein was spared the rather ignominious fate suffered by the Berghof and other properties further down the Obersalzberg; today it is home to an excellent mountain-top restaurant serving the finest traditional Bavarian fare, and is the target of hundreds of thousands of visitors from all over the globe. 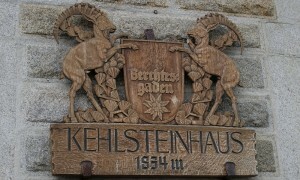 Due to its being having been commissioned by the Nazi leadership, it will never be possible to separate the Kehlsteinhaus from its bitter historical legacy. However, with almost seventy years having passed since the end of the war and with new friendships having been made, it stands to reason that the Kehlsteinhaus should not be examined from this blinkered angle alone. The house no longer stands as an icon for National Socialism, and has not done so for over half a century. It is indeed somewhat arguable that it was ever really seen as such. 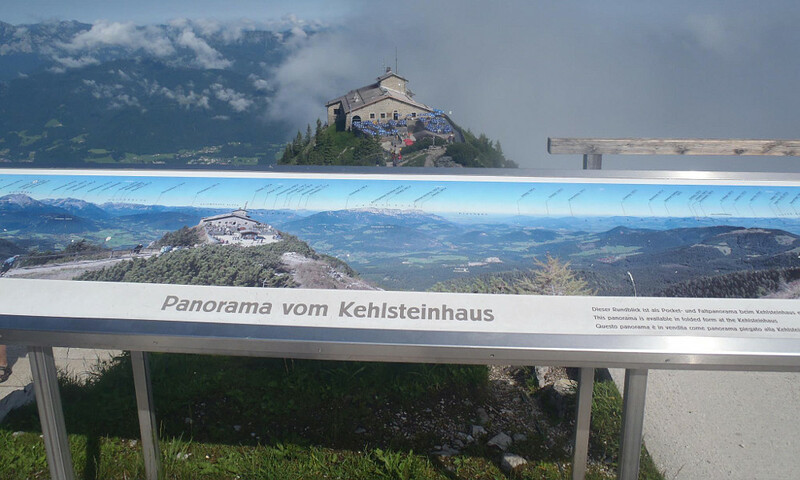 Das Kehlsteinhaus provides a concise history of Hitler’s mountain eyrie, from its planning and building in the late 1930s through to its role today as one of Bavaria’s and Germany’s most popular tourist destinations. The house sees thousands of visitors every year from all over the world, and the purpose of this site is to provide not only an historical background but also a richly-illustrated overview of the house how it is today. This website first appeared on the Internet in the summer of 2001, and was probably the first online resource dedicated to its subject in the English language. Directed at everyone from the casual visitor to the amateur historian, the idea was to provide more than just the basic tourist information yet at the same time avoid the rather dry narrative of more specialist historical sites: this has proved to be case, in that over the years number of past and prospective visitors have provided positive reviews. 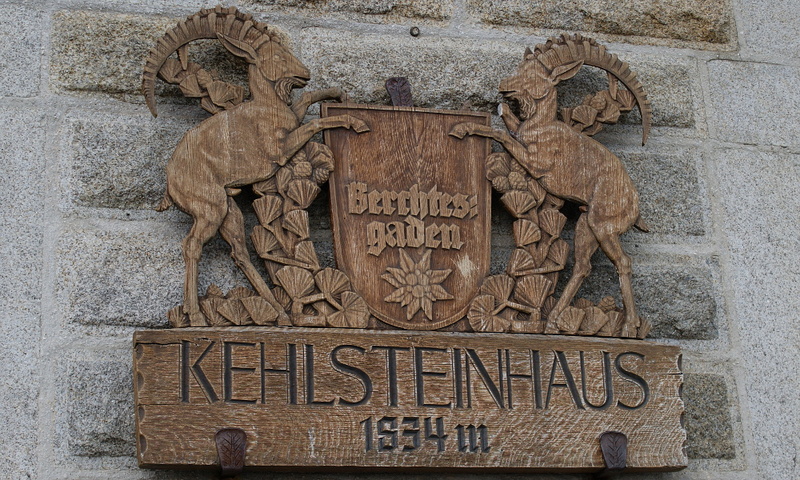 There are three main parts to the site: The Location, which provides information on the Berchtesgaden region as well as directions how to get to the Kehlsteinhaus; The Road, which covers the history of the construction of the Kehlsteinstrasse, and The Building, which is dedicated to the house itself. Unlike previous versions of the site this one is richly illustrated with photographs taken during the author’s latest visit, which brings the entire place to life. The information contained within this site is for historical and informative purposes only, and is not aligned with any political persuasion or agenda; the comments contained herein are those of the author of this site.